To help pay off his incredible debt, Peter participates in medical experiments to make some extra cash. 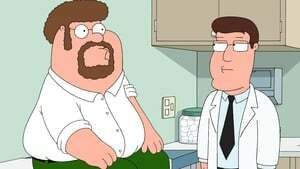 First, he is injected with the “Seth Rogen” gene that “gives you the appearance of being funny even though you haven’t actually done anything funny.” Then he is injected with a gene that leads him to a new mate, leaving a broken-hearted Lois behind. 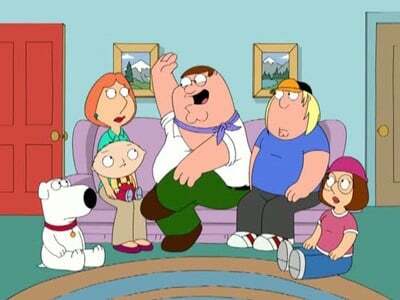 Although the family is crushed, they quickly realize the most important thing is that Peter is happy.